Last week I attended a very glamour screening of 'Breakfast at Tiffany's' courtesy of Max Factor at the Every Man Cinema in Leeds! 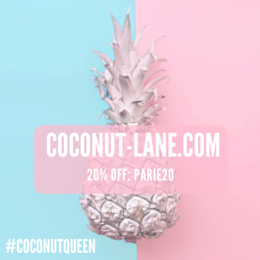 When the invite popped in my inbox, I was super excited and a little startled that I had even been considered to come! I look my friend Aimee along as my plus one because she is just a big of a fan of the film as I am. Before went to the screening we went for a bite to eat at the resturant downstairs and then at around 6 ish made our way up to the private room. Inside we greeted to drinks, finger food and makeovers. 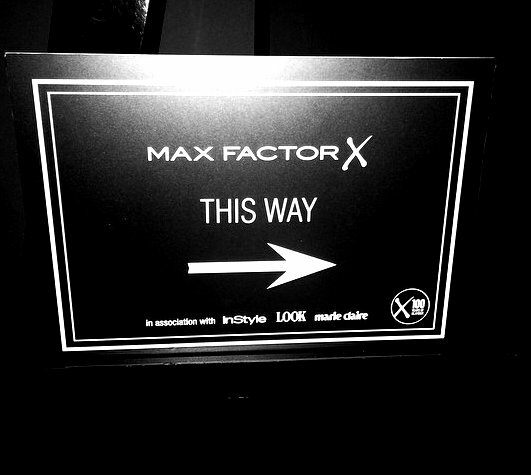 They had there amazing Max Factor makeup artists there doing different looks on everyone and might I say they were doing a fab job! After a quick little photosesh in front of the huge display we made our way into the screening room. I have never been to the Everyman cinema in the trinity and no matter how many times I have gone shopping there - going to the cinema is something I haven't done. It isn't like any ordinary cinema its special, comfy and luxurious. They had sofa's instead of chairs, little stools next to you for your food and drink and you are allowed to take PIZZA INSIDE!! I was mind blown and can't stop talking about the place, it was truly amazing. 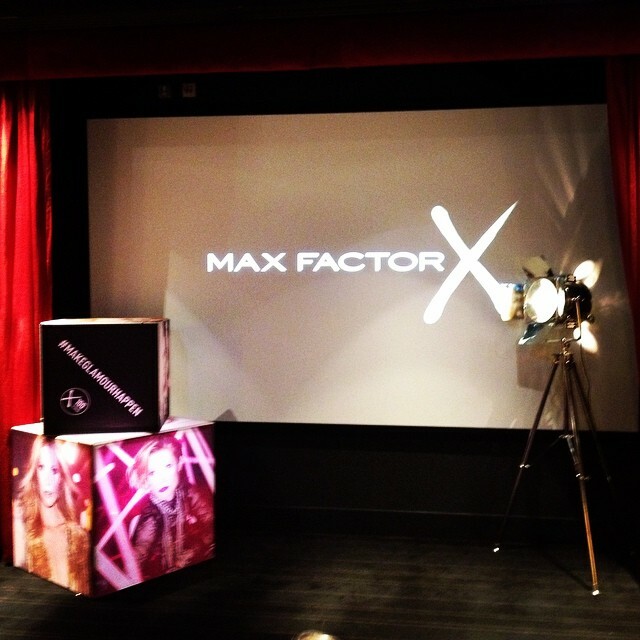 Upon arrival in the screening room, we were greeted to a goodybag from Max Factor on our chairs. Each one had the latest issue of Marie Claire and Instyle Magazine, A bottle of water, popcorn, sweets and some makeup goodies which i have fallen in love with and will be blogging about soon! 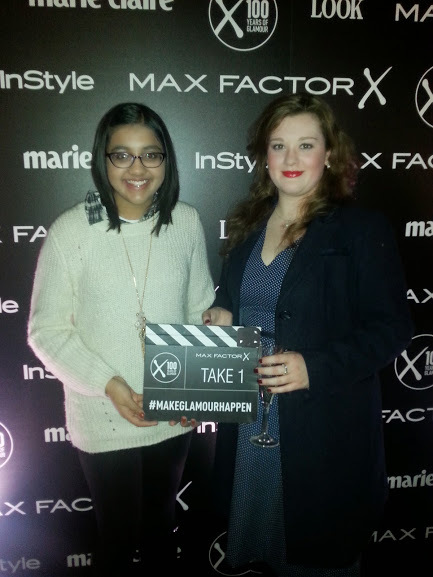 It was an evening full of sprarkle, glamour and fun and I would like to say a big thank you to Max Factor for inviting me I had an amazing evening! Find out more about the cinema here.